Ada pertanyaan untuk Drift BnB Colombo? Ketika mengunjungi Colombo, Anda akan merasa layaknya di rumah ketika berada di Drift BnB Colombo yang menawarkan akomodasi berkualitas dengan layanan luar biasa. Terletak hanya 1 km dari pusat kota, para tamu berada di tempat strategis untuk menikmati obyek wisata dan aktivitas di kota ini. Dengan lokasinya yang strategis, hotel ini menawarkan akses mudah ke destinasi yang wajib dikunjungi di kota ini. Gunakan kesempatan untuk menikmati pelayanan dan fasilitas yang tidak tertandingi di hotel Colombo ini. Ada beberapa fasilitas hotel ini seperti WiFi gratis di semua kamar, resepsionis 24 jam, check-in/check-out cepat, penyimpanan barang, Wi-fi di tempat umum. 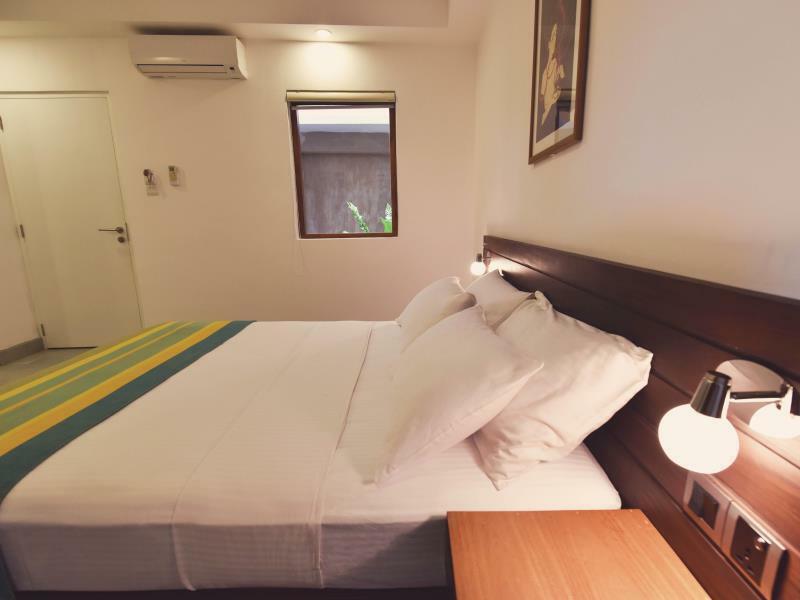 Drift BnB Colombo memiliki 14 kamar tidur yang semuanya dirancang dengan citarasa tinggi. Banyak diantaranya memberikan kenyamanan seperti televisi layar datar, akses internet - WiFi, akses internet WiFi (gratis), kamar bebas asap rokok, AC. Disamping itu, hotel memiliki berbagai pilihan fasilitas rekreasi yang menjamin Anda melakukan bermacam hal selama menginap. 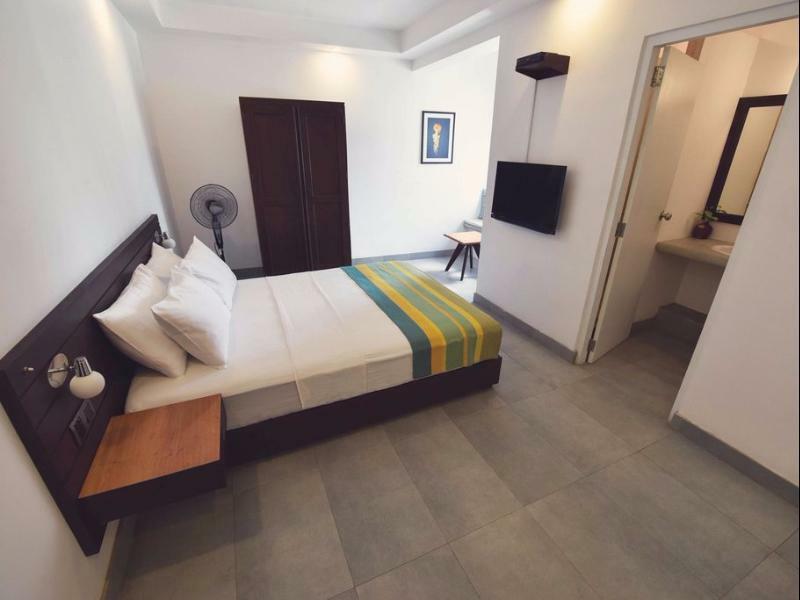 Apapun alasan Anda mengunjungi Colombo, Drift BnB Colombo adalah tempat yang sempurna untuk liburan yang menyenangkan. Sorry for my late reviews. It's absolutely a perfect accommodation experience! Clean room, quiet environment, convenient location and nice people! U could get a map and some useful advice from the front desk, like restaurants, scenic spots, supermarkets, transportation and so on, the guys were so so kind-hearted to help u and solve problems. BTW: Thx so much. I stayed here for two nights before leaving, and it's really a wise choice to stay Drift BnB when u just arrive or before u leave. Of course, luckily, u can meet amazing people from all over the world here, sharing different experiences and feelings. Hands down best value for money i have encountered in SL so far. Really clean, and in a great location. the internet is quick and reliable. Breakfast is cheap and delicious. choose between a standard egg/toast type brekky, or a smoothie bowl. Dorm rooms are clean and tidy as are the bathrooms. Millennials need to start understanding co-living etiquitte, it's not acceptable to be up at all hours going through your luggage, with all of the lights on while people are sleeping, this happened twice in a 6 night stay, so just a word of warning to those in dorm rooms, you could be sharing with self absorbed people. Do yourself a favor and book a private room! 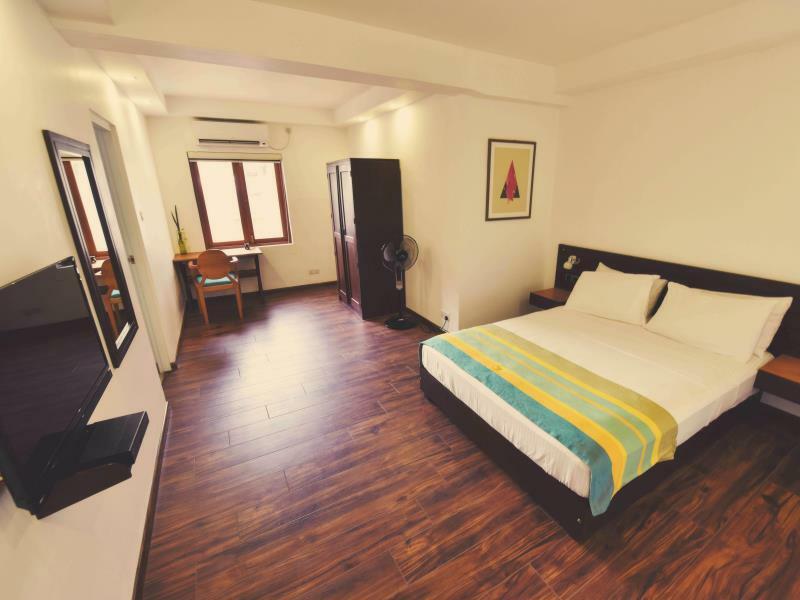 I stayed at Drift for 2 nights on two different dates during my transit through Colombo. The facility has a very nice vibe and the facilities are very clean. Location is superb and their breakfast is VERY decent. The staff is knowledgeable and very helpful. Excellent wifi as well. Overall excellent value for money and would highly recommend to backpackers looking for a hostel in Colombo city. Stayed one night, would stay more if I spent more time in Colombo. The location is great, and the place is pretty well run. The only snag was a little bit of a misunderstanding about breakfast --- I talked to the guy on the desk the night before about getting breakfast the following morning, but I guess he did not mark us down on the roster. But other that, no gripes and would recommend to others. The rooms are large and clean. Stayed in a double room with private bathroom (but note that no towels were provided) The hotel has a hip modern atmosphere. The staff are helpful and speak good English. The traffic, though muffled, can be heard from the room I stayed which faces the street. Great stay at Drift. Like the deco and room condition was comfortable. The luggage lift was very useful too vs carrying them up the 2nd/3rd storey. The proximity to various nice cafes, Barefoot store and bus stop is a plus point too. Very clean rooms and nice location. However after standing on the train and walking down the street to reach the hotel,my legs were tired to walk up the stairsto 2 nd floor. However its nice that there is an elevator for the bags. Very clean and spacious toilets n shower. Loaction is near to Liberty Department stores. Not good. One man on the front desk is cheating people and tried to overcharge me for breakfast, a young guy , wears glasses. Then taxi they organized to the airport tried to charge me for the highway toll fee even tough they said the fee is included in the price I paid to the front desk . Only dishonest hotel I had there ! Massive room. Spotless. Very helpful staff. I was stay in female dorm room however the washing room was connect with the other room. Which means they can enter our room from washing room! I feel a bit awkward. The staff is friendly and the hotel is clean but there is no trash bin. Great place to stay in Colombo as it is modern andfun place in an area that is an up and coming smart area. Reception staff give you a map with all the interesting okaces and some good eating places. Worth bearing in mind if you are on a budget is that there is a great cheap Thai cafe 59 yards to the left of Drift. Rooms were nice and although the breakfast was a bit basic, we really enjoyed our stay here. Finding a cold bottle of water in the room on a hot day was a pleasant surprise! Room was extremely spacious with all the necessary facilities. The staff were helpful. Check in and out was a breeze! Excellent location! The hotel was excellent but our party of 3 was VERY unhappy with the travel agency they hooked up with operated by someone named Ruan. Our driver Saman, spoke only a smattering of English and he only told us on the first night that Adam's Peak was closed and we couldn't go there. That was meant to be the highlight of our trip. Had we known that prior to departure, we'd have changed our itinerary instead of wasting a day. The hotel (and the driver) had told us to pay the amount at the end of our 7-day trip but instead, the driver asked us for money on the first night, saying he had no cash for petrol or food!! He then showed up an hour late the next day without an explanation. On top of it, he refused to stop for meals along the way and when we insisted, he'd take us to expensive places instead of the local places we wanted to experience. Apparently, we were told later that he gets free meals at these places when he brings in tourists.